Here's a unique upgrade to the Vox AC30C2 amplifier. North Coast Music replaces the original factory AC30C2 MDF (medium density fiberboard or "particle board") enclosure with a hand built 3/4," 13 ply baltic birch cabinet built in our cabinet shop. The hand built cabinet employs construction techniques that are similar to those used by Vox in the 1960s, including a bolted baffle and half lap cabinet joints. The chassis, reverb pan and speakers are donated from the original factory amp to the upgraded baltic birch cabinet. This is a special order amp. Click here to read the Returns and Satisfaction Policies for limitations that apply to this purchase. This baltic birch cabinet for the Vox AC30C2 is only offered in conjunction with the purchase of an AC30C2 amplifier at North Coast Music. It is not offered separately. Vox AC30C2 Combo Amp with the North Coast Music exclusive 13 ply baltic birch cabinet upgrade and two Celestion Green Back Speakers - This hand made baltic birch plywood enclosure is built by North Coast Music. This modification does not affect your warranty. This is a special order amplifier. Custom Cabinet: Constructed by North Coast Music under license to Vox. The cabinet is made from 3/4" 13 ply baltic birch plywood. 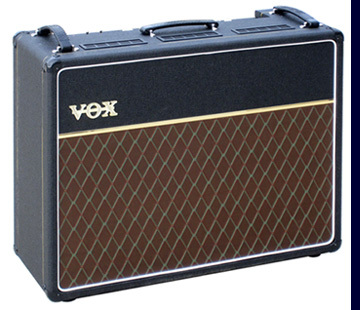 Why buy your new Vox AC30C2 Amplifier from North Coast Music? Have you heard about shipping horror stories from other stores? We overpack and double box every AC-30C2 ampliifier prior to shipment over and above the manufacturer's packaging. We check the reverb pan for shipping inbound shipping damage and we replace the reverb pan if necessary before we ship the amp to you. The rubber feet are moved so they are properly located for use with a Vox chrome rigid stand if a rigid stand is purchased with the amp..
Every AC30C2 is bench tested and burned in for twenty four hours prior to shipment to help eliminate potential "infant mortalities." Specifically, this test is performed in six stages, each four hours long, to further simulate real world usage. Every amp performance tested for proper operation and inspected for perfect cosmetics at North Coast before shipment, defective units rejected, who else does that? 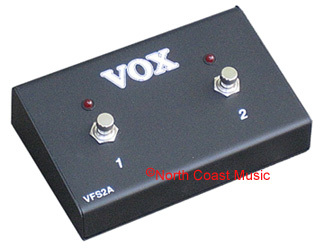 Not suitable for the AD or Pathfinder Series amps, which use the Vox VFS2 foot switch. Also not suitable for the VT and VT Plus Series, which use the VFS5 foot switch. 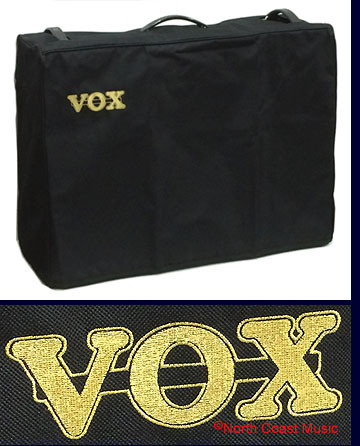 Black canvas cloth cover with gold embroidered VOX logo in upper left corner. No returns. * When used on a V212BN , V212C or V212BNX speaker cab, the center handle hole on the cover will be "empty." VOX AC-30, AC-30C2/2X, AC15C2, AC-30CC2/2X, AC30H2/L, AC30HW2/X, AC-30TBX, AC50CP2, AC-30 Speaker Enclosure, AD120VT, AD120VTX, VT100, or AD100VT Road Case - Manufactured by North Coast Music. Fully foam lined, featuring four recessed twist latches, recessed handles, three inch swivel casters, and a durable black carpeted exterior. The case is constructed entirely from 1/2" 5-ply Superply plywood. 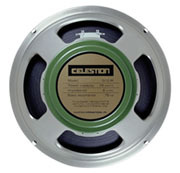 The removable caster plate is constructed from 1/2" 8-ply hardwood plywood. Four heavy duty 3" swivel casters assure easy mobility. 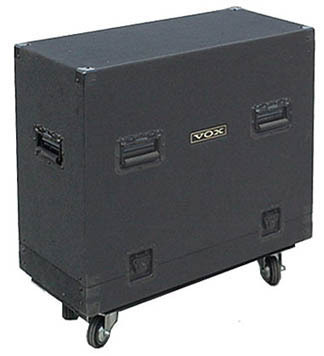 This case does not accomodate amps or cabs on trolleys or with "A" frame side stands. There are no returns or refunds on road cases. Due to shipping costs, available ONLY in the 48 continental United States. No exports, sorry.